Celek was released due to the Eagles very tight salary cap situation. It was hard to see a player who gave his heart and soul to the organization leave, but for him to keep playing football he had to. Celek’s tenure with the Eagles was historic and he had a great career, there is nothing but respect for Celek. Today, news broke saying Celek has a scheduled visit with the Detroit Lions, but based on this interview it seems like Celek will be back with the Eagles sooner, rather than later. From coaching, to even a scouting position, having a guy like Celek, who embodies what it takes to play for the Eagles on the staff is a great choice and a no-brainer for the team to pick him up when he is ready. Imagine how awesome it would be to have Celek on the coaching staff. For all we know, he could be a great coach and take the head coaching job in the future. What a story that would be, one of the Eagles greatest players returns to lead the Eagles as the head coach. But, realistically, imagine him being the tight ends coach of the future, now that’s something pretty believable. 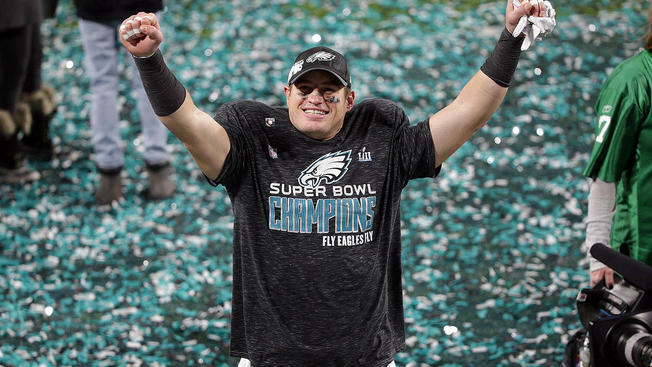 Sure, that is just speculation right now, but we do know Celek plans on playing this year and his first stop on his free agency tour in Detroit. Whatever team ends up signing him will reap the rewards as Celek will give them everything he’s got and help lead the younger guys on the team as well. And, this is a crazy league so there is a possibility no one signs him and he comes back to play for the Eagles again this season too… that’s a shot in the dark, but crazier things have happened.